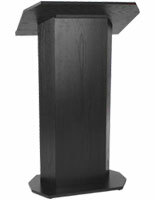 This black economy pulpit ships flat to reduce shipping costs and is ideal for trade show exhibitors or church, education, college and political speakers. 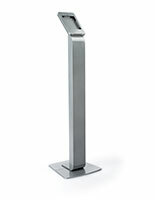 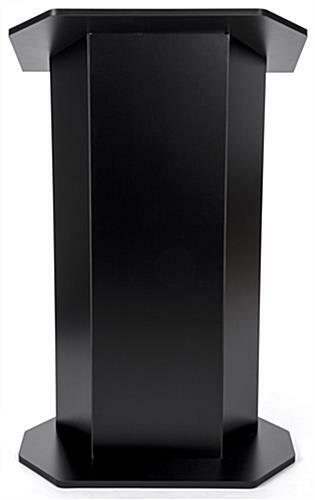 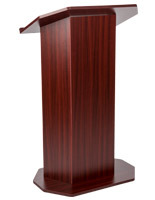 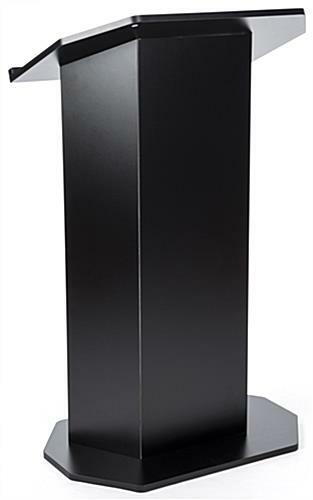 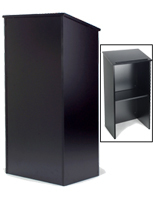 The lectern is durable and sturdy and can hold up to 10 lbs. 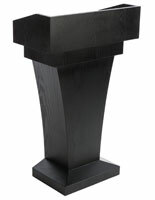 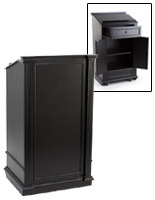 A dark finish makes the black economy pulpit complement any décor, which is great when you need it to fit into a variety of environments, whether it is a church, education, college, or political setting. 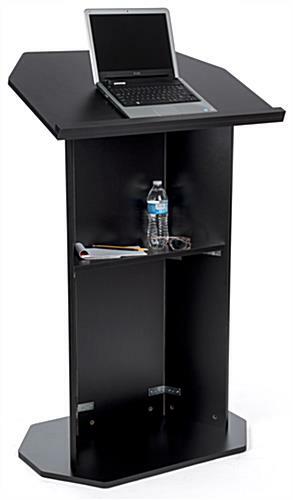 Utilize the useful storage shelf and large reading surface with a lipped base to hold presentation materials such as a laptop, binders, notes or simply a bottle of water. 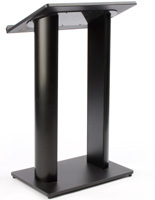 Rubber feet prevent the lectern from damaging floors or temporary flooring in a trade show booth. 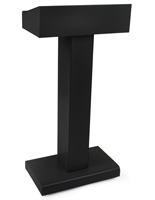 A design that permits easy assembly allows the black economy pulpit to be set up on-site to instantly light up your presentation room.